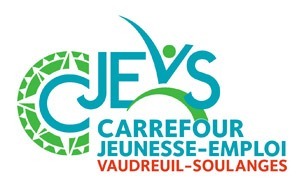 Here, you can find full or part-time job offers in the Vaudreuil-Soulanges region. Use the search bar to filter results according to your criteria and pin this link to your shortcuts, so you can regularly check for new job postings. Job offers posted here include permanent and temporary positions, summer jobs as well as internships. Having difficulty finding a satisfying job or getting the job you want? For useful tools that will help you find your niche, or for more information, make an appointment with one of our guidance counselors.